Welcome Home! 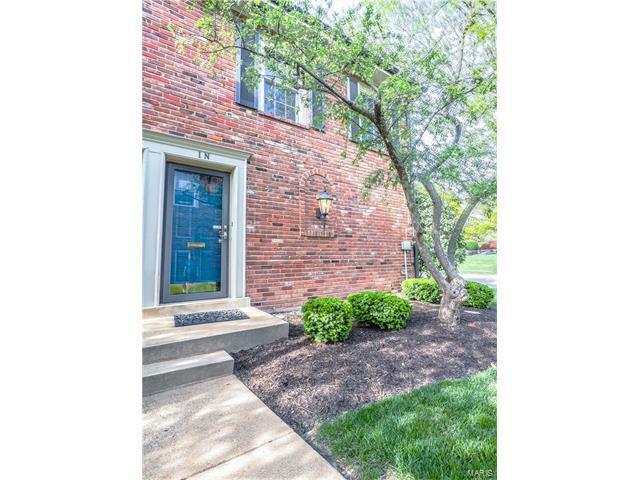 Donât miss your opportunity to own a spacious town home style condo in close walking distance to downtown Kirkwood. End unit with gorgeous courtyard. Main floor offers a large & cozy family room with beaming hardwood floors and bay window. Kitchen is open with large walk-in pantry & stainless steel appliances. Nice size breakfast room & large private patio. Lower Level offers a family/rec room with half bath & plenty of storage. Sparkling clean, very well maintained with neutral paint colors throughout. This condo is move in ready! Covered parking spot included & plenty of other parking. The church next door allows parking every day except during Sunday services, so you are allowed to park right next to the unit with plenty of parking for guests! There are only 16 units in this well desired complex so act fast! It wonât last long. Association fee also includes exterior maintenance, exterior insurance, water, trash & sewer. See for yourself all this nice home has to offer! Copyright 2019, Mid America Regional Information Systems, Inc.(MARIS). All rights reserved. Assist2Sell Advantage does not display the entire IDX database of Mid America Regional Information Systems, Inc. (MARIS MLS) on this web site. Property listings of some REALTOR® brokerage firms have been excluded. Listings displaying the MARIS logo are courtesy of the participants of Mid America Regional Information Systems Internet Data Exchange. Information provided deemed to be reliable but is not guaranteed to be accurate. Buyers are advised to verify all facts before making a decision on purchasing a property. No warranties, expressed or implied, are provided for the data herein, or for their use or interpretation by the user. Mid America Regional information Systems, Inc. (MARIS) will not be held responsibility for the content of such records. Last Updated On: 2019-04-22.